Gurmeet Chaudhary is married to Debina Bonnerjee on dated 15-02-2011. Then they celebrated their first marriage ceremony in Golden Leaf Banquet situated in Mumbai. They are both happy with their married life and also enjoying their work very much. Their friends call Debina a patnivrata stiri as a joke and she enjoys it well. 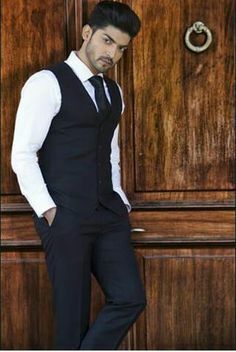 Gurmeet has already made his entry into Bollywood with the film "Khamoshiyan" directed by Mukesh Bhatt. Ali Fazal and Sapna Pabbi were his co-stars in this film. All have worked fine in the film. Bollywood Debut Film - Koi Aap Sa in 2005. Hobby - Martial Arts, Reading, Collecting Sunglasses.